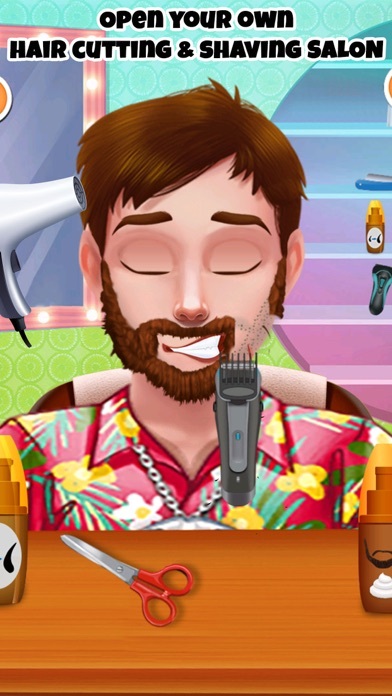 Welcome to the Crazy Beard Shaving Salon! These men seriously need a makeover. They look so messy and hairy so let’s get your tools and shave some beards and give a complete makeover! 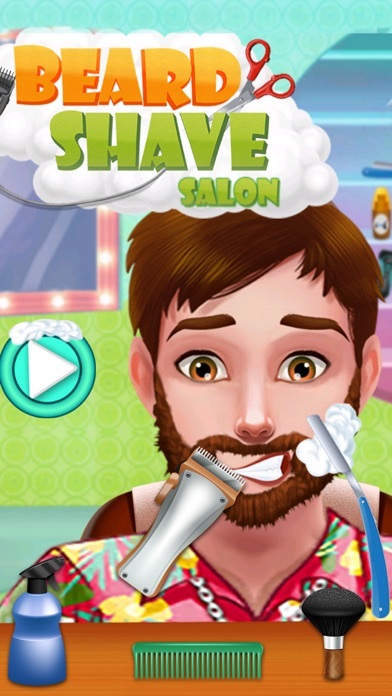 Shave it & make hairy face go shine like a celebrity star! 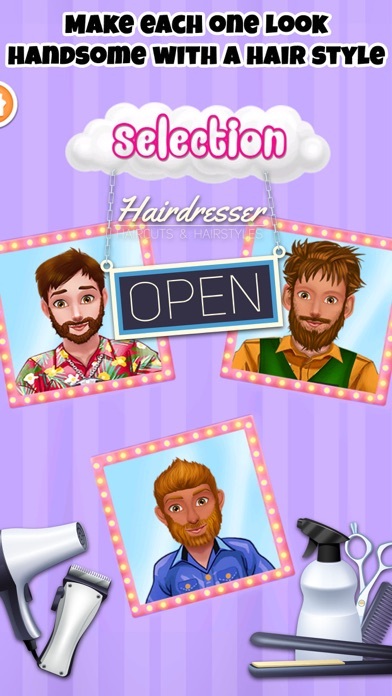 Open your own barber shop, spa & salon. Meet your clients at the city's top famous hair salon. ! Their face look dirty and hairy. Shave beard, pluck hairs, tweeze, and pick your beard styles. Dress up your client with awesome accessories. 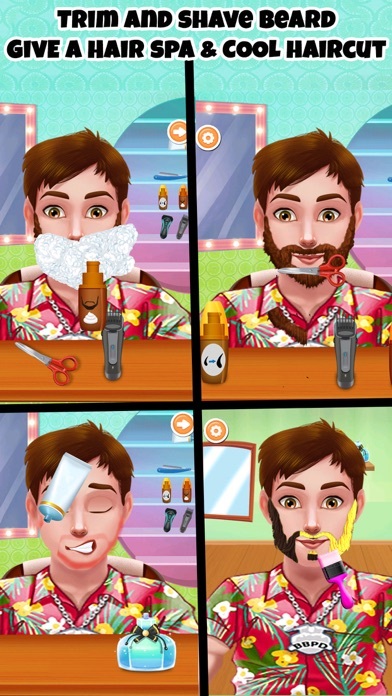 Features : -	3 characters selection -	Shaving, hair removal, pimple popping and more -	Facial treatments with complete barber tools -	Bandages, electric shaver, tweezers, scissors and more -	After shave and rash removing cream to clean and clear -	Extra fun and entertainment The barber is waiting at the Beard Salon to begin the fun shaving and makeover. Use all the tools to perform facial treatment, remove hairs, clean face, pop pimples and finally wash the face. Remove rash and put bandages on cuts. 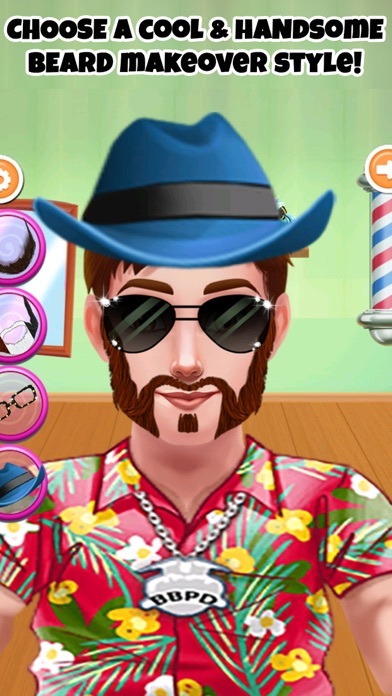 Make cool beard styles & dress up with various accessories. Let’s do it at Beard Shaving Salon for men!